Today’s threats against Europe’s Jewish populations are both different and more diverse than those in the past. Far-right extremism is still with us, but now represents only one slice of the problem. Radical, jihadist Islam is now the much larger threat. However, the far-left has also become a substantial source of anti-Semitism. Today’s hard-left exhibits a particularly pernicious form of anti-Semitism – one couched in anti-racism rhetoric to make it socially acceptable in polite company. It is not the Jews, they claim, who are uniquely evil among the nations. It just happens to be Israel, the Jewish state, that is the source of such malevolence. And so we arrive at the sorry phenomenon that is Britain’s Leader of the Opposition Jeremy Corbyn – a man who lays wreaths at the graves of anti-Semitic terrorists, and then thinly papers over his actions with nonsensical hair-splitting. Mr Corbyn’s comfort in the company of anti-Semites and other extremists whom he calls “friends” speaks for itself. While he claims to embrace such individuals in the name of “peace,” it is a peace that only ever involves the enemies of the West generally and of the Jewish people specifically. The naked reality underlying Labour’s refusal to accept the full International Holocaust Remembrance Alliance (IHRA) definition of anti-Semitism is that Corbyn and his allies have no intention of stopping their overt attacks on the Jewish state. Perhaps the growing political pressure will force them to do so, but either way their views are now plainly evident. It is the far-left’s obsession with Israel that concerns us most specifically. Our organization is premised on a simple demand: A fair debate about that country, on the same terms which we extend to debates on all other countries. Today’s anti-Semitism all too often manifests itself in the singling out of Israel, depicted as a uniquely horrific place, responsible for all the ills of the Middle East, if not the world. It is time to strip away all the rhetoric and rationalizations. Mr. Corbyn and his allies hate Israel uniquely and obsessively. Under his leadership, Israel – and thus any Jew daring to identify with it – will face relentless slander. He, and those who share such malignant views, must be exposed and opposed at every opportunity. 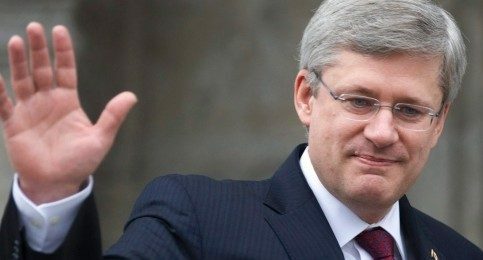 — Stephen Harper is the former Prime Minister of Canada. This column, which first appeared in The Telegraph, was co-authored with David Trimble, who was First Minister of Northern Ireland from 1998 to 2002.